Sawyer’s Large Hydraulic Internal Alignment Clamp offers the advantages of a manual internal pipeline clamp with hydraulic power. Simplicity combined with minimal user effort is what’s provided by this line up clamp. 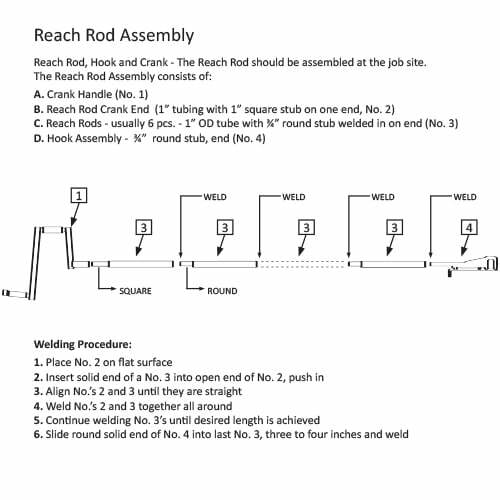 Each internal pipe clamp comes standard with a 49″ reach rod, hook, and handle, so it’s ready to use without purchasing additional equipment. Available for a wide variety of pipe sizes from 16” to 64” and with a choice of hard or soft wheels, Sawyer’s Large Hydraulic Internal Alignment Clamp will satisfy a variety of line up clamp demands. Furthermore, a copper backup ring and stainless steel, copper or carbon steel shoes are also optional additions for this pipeline welding clamp. Self-positioning and simple to use, the Large Hydraulic Internal Alignment Clamp leaves the gap unobstructed for a full stringer bead, making it an internal pipeline clamp that’s fast and efficient to operate. Built tough to withstand the harshest conditions, this internal line up clamp comes standard with heavy duty steel construction and will meet many pipe-to-pipe fit up requirements with simplicity and ease for years to come. 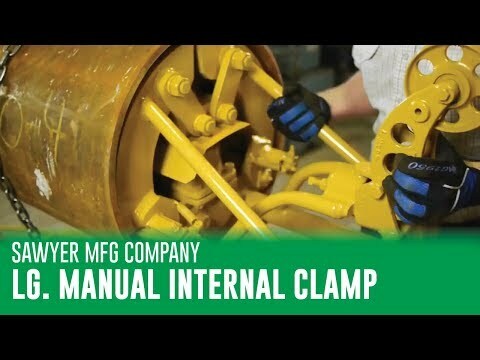 When the job demands internal aligning pipe for welding, look no further than Sawyer’s Large Hydraulic Clamp.